Carlos Santana, one of the most influential guitarists of all time, will perform at the Arena on Sunday night. When you have a conversation with Carlos Santana, it doesn't feel like you're talking to one of the greatest and most influential electric guitar players who ever lived. It's more like an easygoing chat with a spiritual advisor, or a life coach, or simply a 70-year-old man who is grateful for each day. Or all of those rolled into one. But every once in a while, Santana says something that reminds you of the fire that has lived inside his fingers for decades. "There comes a time with integrity where you know you cannot do it at a certain level that you're accustomed to," he says. "So the mechanics leave you, just like walking from one room to another. When you can do it better than you did it before — like a lion, you can still get it done — then you should still be on the road. If you cannot, then I appreciate people who say I can't do it at that level so I'm going to do something else with my life." Santana is reacting to the recent rash of retirements by artists from his generation, such as Paul Simon, Elton John, Ozzy Osbourne and Neil Diamond. But along the way, he quickly — almost imperceptibly — compared his world-famous, generation-defining, otherworldly technical skills on the guitar to...walking from one room to another. Like most of us walk from one room to another, Carlos Santana plays the guitar. Don't misunderstand: Santana doesn't take his abilities or his career for granted. Quite the opposite. The Mexican-born musician — who moved to the United States in the early 1960s — now lives a blessed double life as both a bona fide guitar legend and a classic rock zen master, willing and able to dispense wisdom at the drop of one of his name-brand hats. "Someday the world will be gardens with no thorns. It will be light with no shadows," he says. "I truly believe that we are the ones we've been waiting for and that with music we can help do things that religion, politics and a lot of our institutions have yet to do, which is to bring compassion, bring equality, fairness and justice and really heal. You heal the world by correcting your mind." Santana's star-making journey started in San Francisco's famous 1960s music scene, and he burst into global consciousness with a fiery set at Woodstock in 1969, the same month his namesake Latin rock band released its self-titled debut album. Santana was the first of a series of records the band put out in the early 1970s, taking each as an opportunity to explore and incorporate the sounds of psych, Afro rock, blues, jazz fusion and beyond. 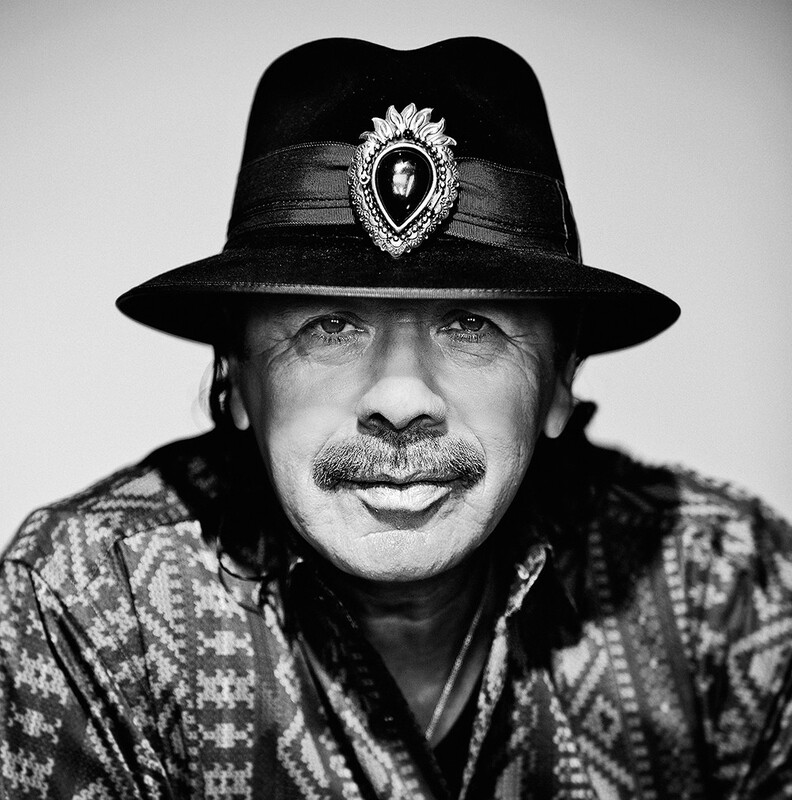 After slowing down creatively and commercially in the '90s, Santana experienced one of the greatest late-career resurgences in rock history with his guest-laden 1999 album Supernatural, which topped Billboard's album chart for weeks, won eight Grammys and sold more than 30 million copies — a year after Santana was inducted into the Rock and Roll Hall of Fame. That's quite a legacy, but Santana, as always, is more interested in the present and future than the past. "I love this moment, when I believe ... I can go to Woodstock right now with this band and have more energy than the first one. Why would I show up if I couldn't do that?" he says. "I hope people understand that there's arrogance and then there's spiritual conviction. Those are two different things, you know?" he continues. "When you have spiritual conviction you can say, 'When I hit a note, 100,000 angels go with that note, so I'm not alone.' I'm not playing for Carlos Santana. I'm playing for creation. John Lennon and Bob Marley, I am them now. They graduated to another plane along with Prince and Michael Jackson, but I'm here and I love all of them, so therefore when I present myself I bring all of them with me." 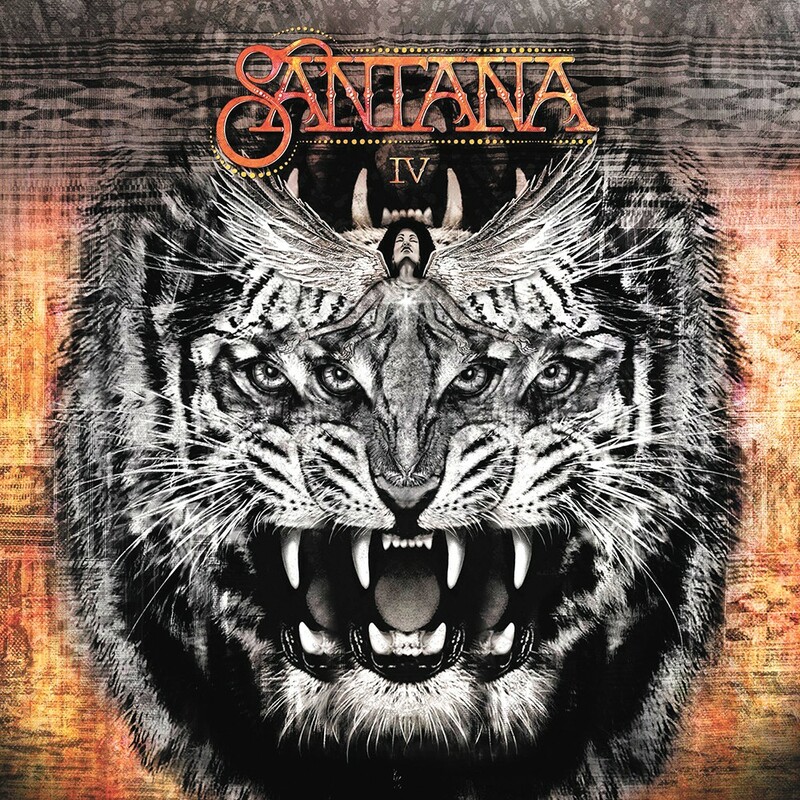 In the past couple of years, Santana fulfilled two long-time dreams: He recorded an album — 2016's Santana IV — with his original band for the first time since 1971. And he recorded an album — 2017's Power of Peace — with soul pioneers the Isley Brothers, whose iconic hit "Twist and Shout" came out around the same time Santana moved to San Francisco. Both were well received by fans and critics and both sizzle with the same sense for exploration that has always powered Santana's music. The original print version of this article was headlined "Passion Play"